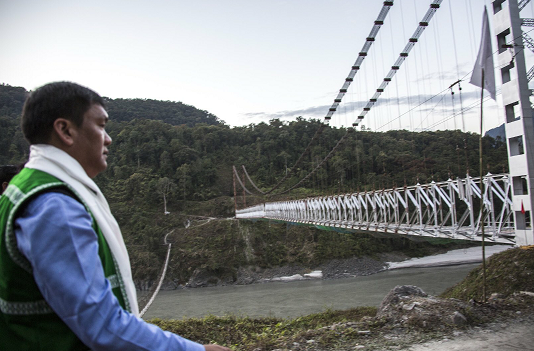 Arunachal Pradesh CM Pema Khandu inspecting Siang River on Saturday. 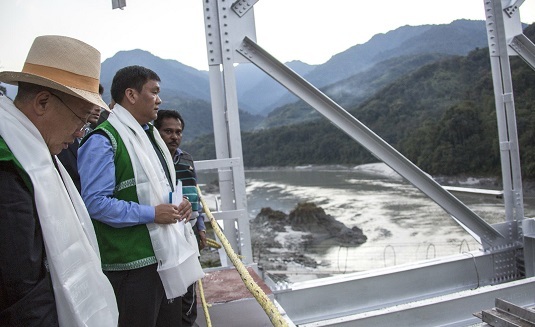 Arunachal Pradesh chief minister Pema Khandu inspected the Siang River on Saturday near Yingkiong. The Siang river water has turned muddy and black making it unfit for drinking and aquatic life. He has instructed the local administration to furnish a detail report in this regard. It may be mentioned that Congress MP from East Arunachal constituency Ninong Ering sent a letter to the Prime Minister of India on November 25 expressing serious concern over the change in water quality of Siang River (Brahmaputra) and the unusual receding of the river at Pasighat. He requested the Prime Minister to take up the matter with the Chinese government.